America?s Popular TV Series ?American Idol? To Be Bartered & Aired As ?American Idol Rewind? American?s most popular television series, which airs on the FOX network, will be coming back in September 2006. The one-hour weekend series will be titled ?American Idol Rewind,? and offer never-before-seen footage in a streamlined, enhanced program. The series is being sold entirely on barter, and Tribune Entertainment is representing station and advertiser sales. Tribune Entertainment, the Los Angeles-based entertainment division of The Tribune Company, holds a diverse portfolio of programming for syndication (barter) network and cable. In 1997, Bruce Norris, author and self-taught prognosticator, came to an astounding conclusion: real estate prices, after plummeting for seven years, were about to take off. He predicted that home prices would double in eight years?missing the mark only in that he was too conservative. Prices actually tripled. Now he prognosticates that prices are going to slide downward for the next four years, erasing all of the gains of the last two years or more. In a forthcoming book, California Crash, Norris says a price drop will change the mood and it?s coming because of housing?s weak affordability. Norris points out that the two times affordability fell to 17%?in 1980 and 1989?the market was flattened. Norris asserts the most dangerous modern trend is the belief that real estate prices go only in one direction. A recent announcement by the National Association of Realtors confirms that notion. They report that, nationally, 43% of first time buyers financed 100% of their purchase and an additional 50% financed from 71% to 99%. 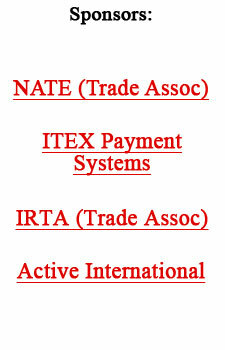 ITEX has announced that its credit capacity/facility with US Bank has been expanded from $500,000 to $1,000,000. CEO Steven White elaborated, ?Our financial stability over the last two years, and the reduction of $1.3 million in debt during the last six months coupled with our long term relationship with US Bank, has resulted in our ability to access a larger amount of capital.? White says the company is well-positioned to take advantage of strategic opportunities as they arise, and pursue the further development of their cashless payment transaction platform. For further information on ITEX go to www.itex.com. Ric Zampatti, founder of The Barter Company in Atlanta (www.barterco.com), is one of the more enterprising exchange owners in the country. Over the last several years he has ambitiously built a very successful billboard business in his area, known as Southern Media. Now he?s moving in another direction that could prove to be most interesting as well...under his direction, Southern Media is promoting Big Head Todd and the Monsters concert March 11, 2006, at The Fabulous Fox Theatre. Bartered tickets to a concert are one thing, but using barter to organize and stage an entire concert is quite a different story. According to Zampatti, the facility, lighting and other expenses involved with staging the concert, will be handled on a bartered basis, as well as the considerable advertising effort. The band, based in Boulder (CO), and Zampatti have wanted to stage such a concert for years, but they could not get the dates to coincide with the band?s touring schedule. For more information on the band and concert go to www.bigheadtodd.com. How do you leverage the 400,000 advertisers who bought Google-brokered online ads or ads on Google?s own sites as of last year? Try tapping into a much larger marketplace?the huge U.S. advertising arena (electronic, outdoor and print). Google?s recent $1.1 billion purchase of radio airtime broker Dmarc Broadcasting shows that they have a huge aspiration, eyeing a much larger portion of the nearly $300 billion that?s spent annually on advertising. Dmarc has contracts with more than 4,600 radio stations to provide services such as filling ad spots for targeted audiences. Commercials can be purchased to play alongside specific songs or chosen for certain markets. The company also sells systems that automate accounting reports. Those traits, accountability, efficiency, scale and immediate results, are very similar to what Google does in selling online advertising (AdWords) that is tightly targeted to users searching for specific terms on the Internet. Google has experimented with print media (reselling magazine and newspaper ads), and recently launched an online video store that many analysts believe will include TV-like commercials. What Would Jackie Do? She?d Make Secret Barter Deals! A new book by Wall Street Journal editor Shelly Branch and co-author Sue Callaway, titled ?What Would Jackie Do? An Inspired Guide To Distinctive Living,? gives tips on how Jacqueline Kennedy (often referred to as Jackie O) lived her life, how she handled difficult people, and who she enjoyed being around. The book pointed out that Jackie loved to barter. She believed that lack of funds shouldn?t prevent one from acquiring the things desired. According to Jackie?s way of thinking, bartering gives one the power of handing off something that may be a trifle to you, but a hot ticket to the other party. It was a technique she used with portrait painter Aaron Shikler. While dating Aristotle Onassis, she had the artist draw more than 30 studies of her children?without any explicit agreement that she would buy the works. She adored the sketches, but balked at paying for them. Jackie had already tried, and failed, to get Onassis to buy some of the works. An opportunity presented itself when Jackie asked Shikler to paint her official White House portrait?a commission that brought him considerable notice, and the offer of a lucrative writing assignment from McCall?s magazine. Knowing that she would frown on any publicity over the topic, he approached Jackie with a barter deal: ?Let?s make a trade-off,? he suggested. ?You give me permission for the article...you keep the studies.? Jackie got her desired art and Shikler got his subsequent payment. A jewelry store owner in Michigan is interested in bartering jewelry in exchange for a Breckenridge, Colorado, condo or home during February 18 - 26. Interested parties should contact: bmeyer@barternews.com. With the Super Bowl around the corner, here?s something to contemplate when viewing the players and thinking how lucky they are. A mind-boggling 78% of all NFL players are divorced, bankrupt, or unemployed two years after leaving the game, according to Ken Ruettgers. He is a former player?12-year veteran with the Green Bay Packers and current executive director for www.gamesover.org?helping NFL players transitioning from professional sports back into the everyday world. Have you signed up to receive a summary via e-mail of the Tuesday Report every week? If not, go to the top of this issue (right hand corner) and sign up! Leading money-transfer networks and banks have launched The International Association of Money Transfer Networks (IAMTN) to increase the understanding of the role of this major and rapidly expanding financial services sector. With trillions of dollars transferred globally every year, IAMTN aims to heighten awareness of that market and aid its development within an increasingly regulated environment. A quid pro quo barter offer is being made to idled union workers at Ford Motor company: Leave the company and receive an all-expenses-paid college education. Plus idled workers will receive half their usual hourly salary, plus full medical benefits and any pension they accumulated, with the exception of retiree health care. If you've missed any of our weekly Tuesday Reports the past five years we have an archive of issues for you at the bottom of this letter...check it out!